5W Public Relations , one of the leading independent PR companies in the US, has announced the appointment of Don McIver as its Chief Operating Officer. McIver will take over responsibility for managing the company and its operations on a day to day basis. McIver brings with him a wealth of knowledge and expertise about the public relations industry, having held a similar position at Beckerman, a New Jersey-based PR agency. Previously, McIver also worked as Chief Operating Officer at MWW Group, one of the top five independent PR firms in the world. 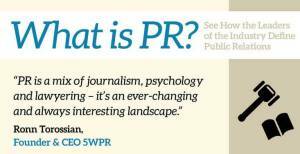 5W PR is widely recognized as one of the leading lights in the US public relations industry, having established a reputation for the successfully implementing numerous customized PR campaigns that have helped its clients to achieve its business goals and objectives. The agency has driven campaigns for numerous prestigious clients, including McDonalds, Microsoft MSN and EL AL Airlines, as well as high profile celebrities including Snoop Dogg, Macy Gracy and Pamela Anderson. Discussing his new role at 5W PR, McIver revealed that he was thrilled at the prospect of helping the firm to achieve its ambitious growth objectives. He pointed out that the company has already considerable strides in just ten years of existence, transforming itself from a small boutique PR firm into one of the major independent PR agencies in the US today. McIver revealed that 2012 is already proving to be a tremendously successful year for the agency, whose strong practice leaders are among the best in the business. He added that by emphasizing the agency’s full service capabilities, its strategic PR programs and its results-orientated approach, 5W PR could look forward to a very exciting future.